Matthew Hazelton told Safety & Health Expo about his personal journey following a workplace incident where two of his brothers and two other colleagues died. 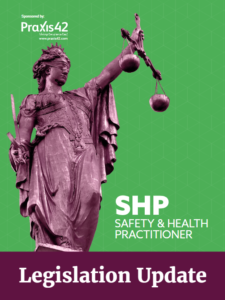 Hazelton, who won the SHP Biggest Impact Award in 2017 and was speaking on behalf of Proud2bSafe, told the audience that the workplace deaths of his two brothers and two close friends left him “having to deal with things you don’t think you will ever have to deal with”, and how he struggled with the attention of the media and funeral organisations. 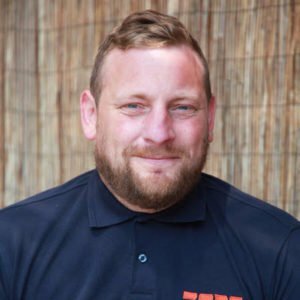 Hazleton was one of the directors of groundworks firm Hazegood, when the four friends were killed at a site in Great Yarmouth in January 2011. Hazleton spoke of the day of the incident, the immediate impact of the personal loss and the longer-term implications, as investigations and inquests into the incident lasted for over six and a half years. To begin with Hazleton had to balance the unspeakable personal loss with relentless press intrusion. The day after the incident he had to chase rabid national newspapers off his mother’s property. “This wasn’t something that happened for a day, it went on day after day after day.” When he tried to phone the police they told him the press were a “lawless society”. Hazelton said: “While I was trying to deal with the personal side of things, I then had to realise I had to deal with the legal side of things.” Upon his first meeting with an insurance firm he was told that he had no idea what he was about to get himself into. The company’s offices were cleared out by the HSE and Hazleton and his co-director, a childhood friend, were arrested and taken to interview: “Getting arrested and taken to a police station under cameras is not a nice feeling,” he said. The legal process also meant that he couldn’t speak to his work colleagues and friends as they weren’t allowed the same barrister or solicitor and “when you really want to be close to your mates, you are being dragged apart”. It took three years before an inquest – “a rollercoaster of emotions” – returned a verdict of accidental death, and it was not until last May, six and a half years later, that the site owner and principal contractor were both fined a total of £700,000 for health and safety breaches. Throughout the process, Hazleton refused to change the name of the company or fold as he felt it would be an admission of guilt. This meant that the company, which had previously been doing well, began to struggle to get new business and support the close-knit workforce that relied on the work to fulfil their mortgages and provide for their families, something that added additional strain on Hazelton. Hazleton explained how following the accident and inquest, his love of construction and his work vanished, but much greater personal and social impacts followed. That moment, he said, provided a wake-up call. Hazleton says that while the personal loss doesn’t go away — the effect on his son of the death of his brothers, “his two heroes” still hurts and he knows when he knocks on his mum’s door on Mother’s Day he can never give her what she wants to see – speaking about this period in his life with Proud2bSafe has “changed my life”. He has refound his love of construction, and still works in groundworks. He says he has been confronted with colleagues messing around in dangerous trenches or using equipment in unsafe places, and now doesn’t think twice about reporting it. ‘It will never happen to me’: A harrowing insight into workplace death Matthew Hazelton told Safety & Health Expo about his personal journey following a workplace incident where two of his brothers and two other colleagues died.